Syston Doors - Welcome - roller shutters, industrial doors, door maintenance & service by Syston Doors. 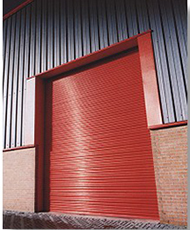 We supply Steel Rolling Shutters, Steel Rolling Grilles, Timber Rolling Shutters, Timber Rolling Grilles, Transparent Rolling Shutters, High Speed Doors, Dock Levellers and Shelters, Fire Resisting Shutters and Doors, Folding Shutter Doors, Aluminium Rolling Shutters, Aluminium Rolling Grilles, Insulated Doors, Insulated Rolling Shutters, Garage Doors, Awnings and Shading Systems and many other types of industrial door. 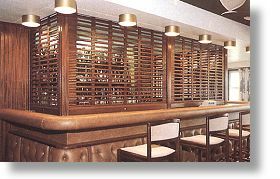 Syston Doors is the trading name of Syston Rolling Shutters Ltd - we have been solving problems for over ninety years. Our personal style of service runs through the whole of our company, from your initial call through to installation and after sales service. Our design team has the experience and ability to solve the most complex of problems. From a rolling shutter 27 metres high for a Bristol silo manufacturer, to over 300 Fire Shutters installed in the new British Library in London. Whether it is Steel, Aluminium, Plastic or Timber, Security, Fire Resistance or Energy saving, all doors can be built into each individual design. We do not, however, just make our designs functional, we can make them attractive too, so that each one can be made to complement its surroundings. We have our own nationwide installation teams who are self-sufficient and with all the necessary labour and services required for every on site installation. Making sure our products are installed by our own fully trained staff means that they are completed on time and with as little disruption as possible every time. Our business is based on experience and knowledge gained over many years of being in the trade. Combine this with the modern computer technology and you have the best of both worlds - an old head on young shoulders. Technical advice can be offered and representatives can organise site surveys and drawings to be issued. We have a full 24-hour, 7 days a week, 365 days of the year call out facility for repairs and maintenance to all makes and types of industrial doors. Service contracts are available. We can provide the full range of industrial doors and rolling shutters to provide the "complete package". We can also provide dock shelters, dock levellers and associated loading bay equipment as well as other related products. 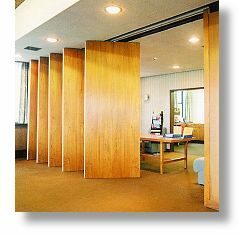 Pictured here is an example from our range of Movable Acoustic Walls and Sliding Folding Partitions. Should you have a requirement that is not featured on our website, please do not hesitate to contact us to discuss further.